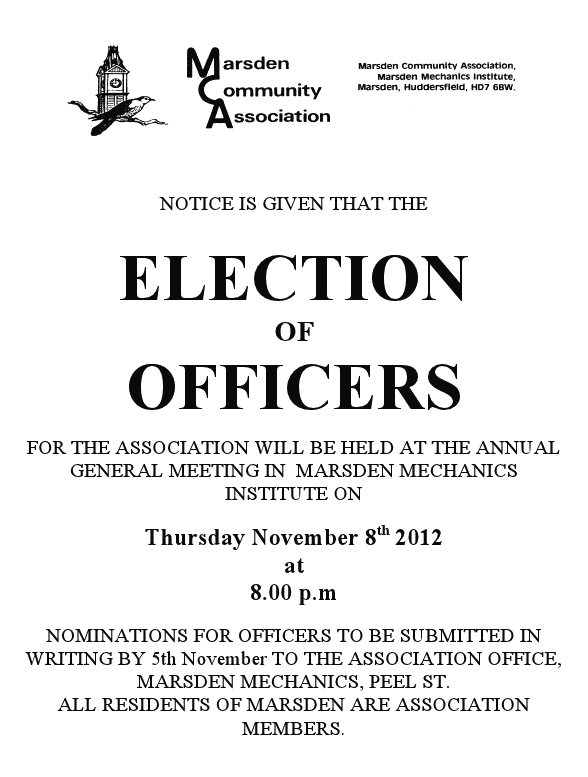 Our AGM will be held on November the 8th at 8pm in the Mechanics hall meeting room. The minutes from last years meeting can be found here. All Marsden residents are welcome to attend the meeting. We are looking for new active members, who want to get involved making Marsden even better.